Tiger lilies are true lilies form the Lilium family, unlike daylilies. 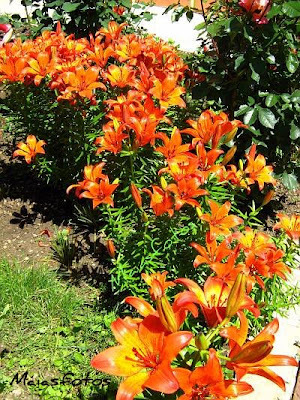 These heavenly scented, long lasting Fire lilies look like a patch of fire in the garden. Mm, so beautiful flowers! 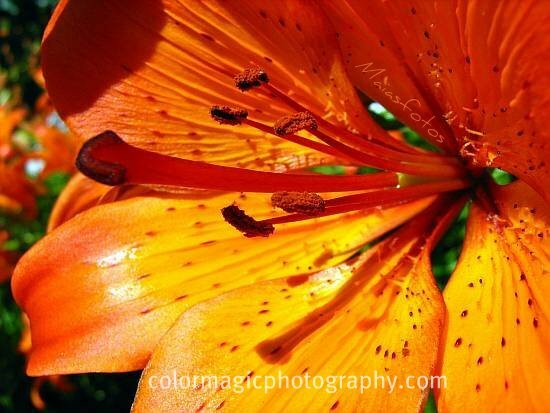 the colour is really nice..
Great makro of the beautiful lily! Gorgeous macro, such vibrant colour. They are so beutiful ! Now I´m longing for the summer !